My research goals are to understand the biology and ecology of eastern forest bats to develop methods and guidelines for their conservation and recovery. Areas of current research include ecology of threatened and sensitive species such as the Indiana bat and Rafinesque's big-eared bat, effects of forest management practices on bat habitat use and community structure, developing and testing methods to monitor bat populations across the landscape, and understanding the impacts of white-nose syndrome on southeastern bat species. I am interested in the ecology, evolution, and conservation of mammalian species in natural systems and how these species adapt to anthropogenic changes. I am also interested in developing and testing new techniques for furthering our knowledge of mammalian species. My previous research addressed interactions between the southern flying squirrel (Glaucomys volans) and the endangered red-cockaded woodpecker (Picoides borealis). I also studied the importance of coarse woody debris and other forest structural characteristics on small mammals of southeastern forests. Bats are important components of healthy forest ecosystems and provide critical ecological services in forests, agroecosystems, and urban areas. Bat populations throughout the world have been declining for decades due to habitat disturbance, destruction and fragmentation. However, in recent years bat species have experienced even higher rates of mortality due to collisions with wind turbines and White-nose Syndrome, an emerging disease that has decimated bat populations throughout the eastern U.S. Further, some bat species will likely suffer negative effects due to climate change although other species may benefit from changing climates. Unfortunately, our knowledge and understanding of bat biology and ecology is not sufficient to allow managers to develop comprehensive conservation and recovery plans for most of these species. Loeb, Susan C.; Rodhouse, Thomas J.; Ellison, Laura E.; Lausen, Cori L.; Reichard, Jonathan D.; Irvine, Kathryn M.; Ingersoll, Thomas E.; Coleman, Jeremy T.H. ; Thogmartin, Wayne E.; Sauer, John R.; Francis, Charles M.; Bayless, Mylea L.; Stanley, Thomas R.; Johnson, Douglas H. 2015. A plan for the North American Bat Monitoring Program (NABat). Loeb, Susan C.; Jodice, Patrick G. R. 2018. Activity of southeastern bats along sandstone cliffs used for rock climbing. O'Keefe, Joy M.; Loeb, Susan C. 2017. Indiana bats roost in ephemeral, fire-dependent pine snags in the southern Appalachian Mountains, USA. Frick, W.F. ; Baerwald, E.F.; Pollock, J.F. ; Barclay, R.M.R. ; Szymanski, J.A. ; Weller, Ted; Russell, A.L. ; Loeb, Susan; Medellin, R.A.; McGuire, L.P. 2017. Fatalities at wind turbines may threaten population viability of a migratory bat. Loeb, Susan C. 2017. Adaptive response to land-use history and roost selection by Rafinesque’s big-eared bats. Britzke, E.R. ; Loeb, S.C.; Romanek, C.S. ; Hobson, K.A. ; Vonhof, M.J. 2013. Variation in catchment areas of Indiana bat (Myotis sodalis) hibernacula inferred from stable hydrogen (δ2H) isotope analysis. Loeb, Susan C.; Winters, Eric A. 2013. Indiana bat summer maternity distribution: effects of current and future climates. Hazard-Daniel, Slayton W.; Hiesl, Patrick; Loeb, Susan C.; Straka, Thomas J. 2017. An incremental economic analysis of establishing early successional habitat for biodiversity. Rojas, Vanessa G.; O'Keefe, Joy M.; Loeb, Susan C. 2017. Baseline capture rates and roosting habits of Myotis septentrionalis (Northern Long-Eared Bat) prior to white-nose syndrome detection in the southern Appalachians. Brooks, Jonathan D.; Loeb, Susan C.; Gerard, Patrick D. 2017. Effect of forest opening characteristics, prey abundance, and environmental factors on bat activity in the southern Appalachians. Hammond, K.R. ; O’Keefe, J.M. ; Aldrich, S.P. ; Loeb, Susan. 2016. A presence-only model of suitable roosting habitat for the endangered Indiana bat in the southern Appalachians. Lucas, Jessica S.; Loeb, Susan C.; Jodice, Patrick G. R. 2015. Roost selection by rafinesque's big-eared bats ( Corynorhinus rafinesquii ) in a pristine habitat at three spatial scales. Greenberg, Cathryn H.; Perry, Roger W.; Franzreb, Kathleen E.; Loeb, Susan C.; Saenz, Daniel; Rudolph, D. Craig; Winters, Eric; Fucik, E.M.; Kwiatkowski, M.A. ; Parresol, B.R. ; Austin, J.D. ; Tanner, G.W. 2014. Climate change and wildlife in the southern United States: potential effects and management options. Loeb, Susan; O'Keefe, Joy. 2014. Indiana bats, northern long-eared bats, and prescribed fire in the Appalachians: challenges and considerations. Loeb, Susan C.; Winters, Eric A.; Glaser, Marion E.; Snively, Marian L.; Laves, Kevin S.; Ilse, Jessica K. 2014. Observations of little myotis (myotis Lucifugus) habitat associations and activity in the Chugach National Forest, Alaska. O’Keefe, Joy M.; Loeb, Susan C.; Hill Jr., Hoke S.; Lanham, J. Drew. 2014. Quantifying clutter: A comparison of four methods and their relationship to bat detection. Loeb, Susan. 2013. One fell swoop. Loeb, Susan C.; Reid, Shawna L.; Lipscomb, Donald J. 2012. Habitat and Landscape Correlates of Southern Flying Squirrel Use of Red-Cockaded Woodpecker Clusters. Loeb, Susan C.; Lacki, Michael J.; Miller, Darren A. 2011. Conservation and management of eastern big-eared bats: a symposium. Hinkelman, Travis M.; Orrock, John L.; Loeb, Susan C. 2011. Effect of downed woody debris on small mammal anti-predator behavior. Britzke, E.; Slack, B.; Armstrong, M; Loeb, S. 2010. Effects of Orientation and Weatherproofing on the Detection of Bat Echolocation Calls. Loeb, S.; Britzke, E. 2010. Intra- and interspecific responses to Rafinesque’s big-eared bat (Corynorhinus rafinesquii) social calls. Hanula, J.L. ; Wade, D.D. ; O'Brien, J.; Loeb, S.C. 2009. Ground-dwelling arthropod association with coarse woody debris following long-term dormant season prescribed burning in the longleaf pine flatwoods of north Florida. .
Hanula, James L; Wade, Dale; O'Brien, Joseph; Loeb, Susan. 2009. Ground-dwelling arthropod association with coarse woody debris following long-term dormant season prescribed burning in the longleaf pine flatwoods of North Carolina. Bennett, Frances M.; Loeb, Susan C.; Bunch, Mary S. 2009. Use and selection of bridges as day roosts by Rafineque’s big-eared bats. Britzke, Eric R.; Loeb, Susan C.; Hobson, Keith A.; Romanek, Christopher S.; Vonhof, Maarten J. 2009. Using hydrogen isotopes to assign origins of bats in the eastern United States. Loeb, Susan C.; Waldrop, Thomas A. 2008. Bat activity in relation to fire and fire surrogate treatments in southern pine stands. Bennett, Frances M.; Loeb, Susan C.; Bunch, Mary S.; Bowerman, William W. 2008. Use and selection of bridges as day roosts by rafinesque's big-eared bats. Hinkelman, Travis M.; Loeb, Susan C. 2007. Effect of woody debris abundance on daytime refuge use by cotton mice. Loeb, Susan C.; O'Keefe, Joy M. 2006. Habitat use by forest bats in South Carolina in relation to local, stand, and landscape characteristics. Laves, Kevin S.; Loeb, Susan C. 2005. Differential estimates of southern flying squirrel (Glaucomys volans) population structure based on capture method. Loeb, Susan C.; Wike, Lynn D.; Mayer, John J.; Danielson, Brent J. 2005. Nongame mammals. Hooper, Robert G.; Taylor, William E.; Loeb, Susan C. 2004. Long-term efficacy of artificial cavities for red-cockaded woodpeckers: Lessons learned from hurricane Hugo. Risch, Thomas S.; Loeb, Susan C. 2004. Monitoring interactions between red-cockaded woodpeckers and southern flying squirrels. Loeb, Susan C.; Ruth, Deanna L. 2004. Seasonal use of red-cockaded woodpecker cavities by southern flying squirrels. Sallee, Rod; Owen, Wayne; Kenna, Karen; Kauffman, Gary; Emery, Marla; Johnson, Tony; Araman, Phil; Stratton, Dan; Sheffield, Ray; Rudis, Vic; Loeb, Susan; White, David; Chamberlain, Jim. 2004. Special Forest Products: A Southern Strategy for Research & Technology Transfer. Asaro, Christopher; Loeb, Susan C.; Hanula, James L. 2003. Cone consumption by southeastern fox squirrels: A potential basis for clonal preferences in a loblolly and slash pine seed orchard. Britzke, Eric R.; Harvey, Michael J.; Loeb, Susan C. 2003. Indiana Bat, Myotis Sodalis, Maternity Roosts in the Southern United States. Loeb, Susan C.; Chapman, Gregg L.; Ridley, Theodore R. 2001. Sampling small mammals in southeastern forests: the importance of trapping in trees. Hanula, James L.; Lipscomb, Donald; Franzreb, Kathleen E.; Loeb, Susan C. 2000. Diet of nestling red-cockaded woodpeckers at three locations. Loeb, Susan C.; Tainter, Frank H.; Cázares, Efren. 2000. Habitat associations of hypogeous fungi in the Southern Appalachians: implications for the endangered northern flying squirrel (Glaycomys sabrinus coloratus). Laves, Kevin S.; Loeb, Susan C. 1999. Effects of southern flying squirrels Glaucomys volans on red-cockaded woodpecker Picoides borealis reproductive success. 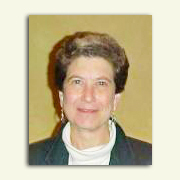 Loeb, Susan C. 1999. Responses of small mammals to coarse woody debris in a southeastern pine forest. Loeb, Susan C.; Lennartz, Michael R.; Szaro, Robert C. 1998. The role of fish, wildlife, and plant research in ecosystem management. Loeb, Susan C.; Hooper, Robert G. 1997. An experimental test of interspecific competition for red-cockaded woodpecker cavities. Yates, Mark D.; Loeb, Susan C.; Guynn, David C., Jr. 1997. The effect of habitat patch size on small mammal populations. Loeb, Susan C. 1996. Effectiveness of flying squirrel excluder devices on red-cockaded woodpecker cavities. Edwards, John W.; Loeb, Susan C.; Guynn, David C., Jr. 1994. Use of Multiple Regression and Use-Availability Analyses in Determining Habitat Selection by Gray Squirrels (Sciurus Carolinensis). Edwards, John W.; Guynn, David C., Jr..; Loeb, Susan C. 1993. Seasonal Mast Availability for Wildlife in the Piedmont Region of Georgia. Loeb, Susan C.; Pepper, William D.; Doyle, Arlene T. 1992. Habitat Characteristics of Active and Abandoned Red-Cockaded Woodpecker Colonies.